Pioneer DJ took the community by storm on Monday when they teased a new mixer with the date August 6. Well, that day has come and so have full details, photos, and videos of the company’s highly anticipated product: the DJM-S9. Like the teaser, the official video for the DJM-S9 is narrated by the legendary DJ Jazzy Jeff. It also features many of the world’s most influential turntablists in action with it: DJ QBert, Eskei83, Mr Switch, DJ Kentaro, D-Styles, and more. 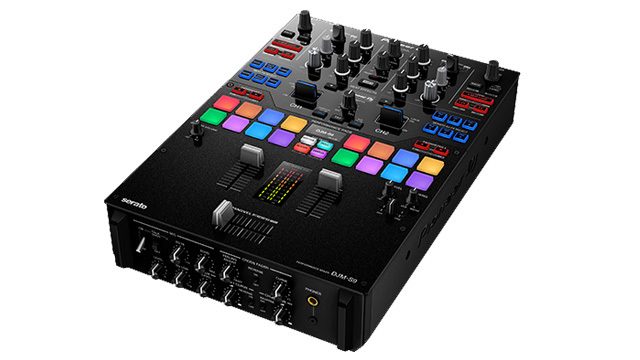 The main features of the two-channel DJM-S9 include support for Serato DJ and customizable Performance Pads, FX buttons, and crossfader. Jazzy Jeff says it’s more than just a battle mixer, though. “This is everybody’s party rocking mixer,” he proclaims in the video. “You can completely take the laptop away and a huge amount of the functionality is still there.” The DJM-S9 will be available from late October 2015 in two colors: black and gold. It’s suggested retail price is $1962. Watch the five-minute video below and nerd out on the tech specs at Pioneer’s website.